The law office of Jeffrey L. Hill, P.C., represents clients who are seeking debt relief through bankruptcy. Making the decision to file bankruptcy is not an easy one, nor is it one that should be taken lightly. 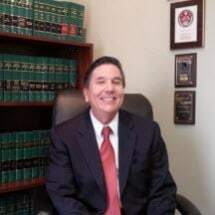 Attorney Jeffrey L. Hill has more than 35 years of legal experience. He can help you make a decision that is right for you and guide you through the legal process. A bankruptcy discharge can give you a fresh financial start, free from the hassles of collection activity, and free of the threat of lawsuits filed against you by your creditors. Attorney Hill can help determine what type of bankruptcy is right for your situation based on your unique financial circumstances, home ownership goals and other factors. A free initial consultation is available to potential clients who wish to learn more about bankruptcy. If you are interested in setting up a meeting, please call the firm or complete the online contact form. Attorney Hill's law office is located in Parker, Colorado. He represents clients throughout the area. Jeffrey L. Hill, P.C., is a debt-relief agency. The firm helps people file for bankruptcy relief through the Bankruptcy Code.